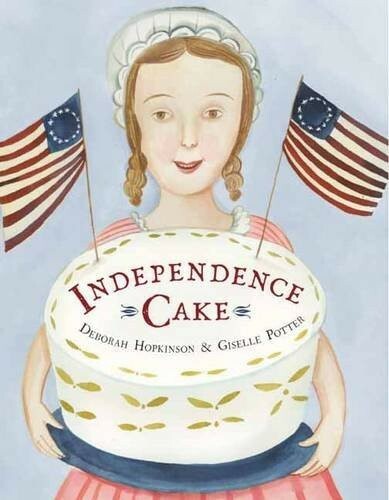 Master of the historical fiction picture book Deborah Hopkinson takes us back to late eighteenth-century America and the discombobulated home of Mrs. Bean, mother of six strapping sons, who simply can't manage -- until Amelia Simmons arrives and puts things in order. And how well she cooks: everything from flapjacks to bread pudding to pickled cucumbers! She even invents new recipes using American ingredients like winter squash. 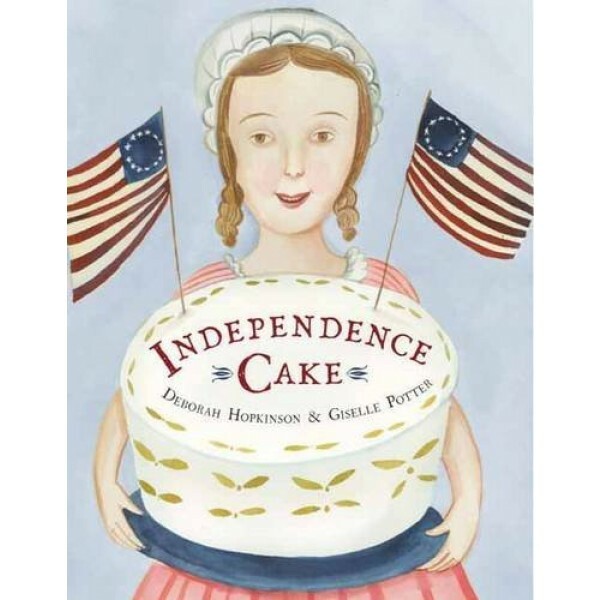 Best of all, she can bake, and to honor the brand-new president, George Washington, she presents him with thirteen Independence Cakes -- one for each colony. "Delicious!" he proclaims. Hopkinson's inventive tales imagines a backstory for Simmons, who would become the author of the first American cookbook. An author's note details what is actually known about Simmons, and also includes one of Simmons' original recipes!